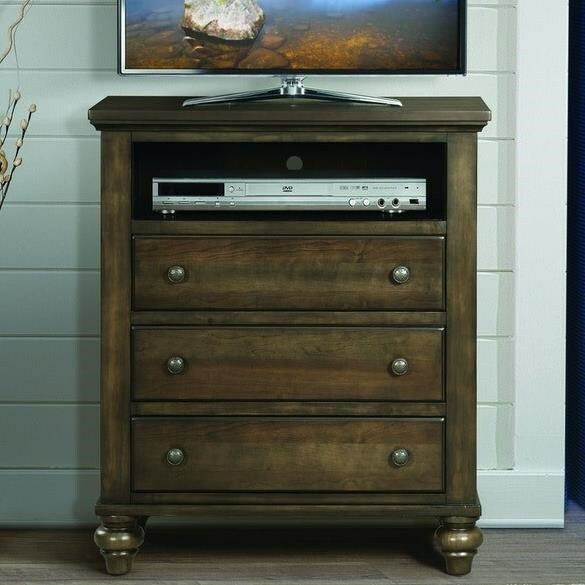 This media chest offers functional storage for your master bedroom, with rich traditional style. An open compartment is perfect for storing electronics components., while full sized drawers below will house movies and other essentials. The Chatham Gray Transitional Media Chest with Component Storage by Elements International at Miskelly Furniture in the Jackson, Pearl, Madison, Ridgeland, Flowood Mississippi area. Product availability may vary. Contact us for the most current availability on this product.